BUY NOW and be up and running in 15 minutes. Simply dowload the Royaltie UPLINE App and post. Gaining visibility, brand recognition, increasing user engagement and growing an online presence in unique ways Ask me how to STAGE your brand for social media. Plus, I design video landing pages. 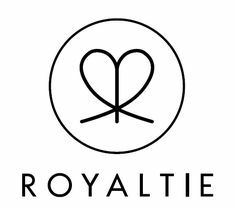 In the last month, the Royaltie system has gone through some drastic changes. Previously, for the notifications to broadcast, you needed a physical GEM and we used a platform called Google Nearby. Since December 6, this platform has been closed down by Google. This means Within a specific radius, anybody with a device, a lap top an iphone notebook or anything that has the ability to browse a website or download an App, has a chance to see your Ad. You can decide where you want your Ad to broadcast by dropping a location pin on the map in your Upline App which then gives you the ability to increase your advertising broadcast radius up to 10,000 meters of the location you placed your pin. Or you can set your app that you will broadcast your message 10K meters from where you are at all times. And the most exciting part is that Moving forward, for the monthly subscription you can receive a minimum guaranteed impressions/views for the Ads you create. THE LOWEST MONTHLY COST IS $47 for 5000 impressions. Larger packages & white label available. @EdKrassen And you forgot about those who used to be diehard Democrats but could see the socialist agenda. @realDonaldTrump ...stop complaining and do something about it! @realDonaldTrump ...and you let it be?